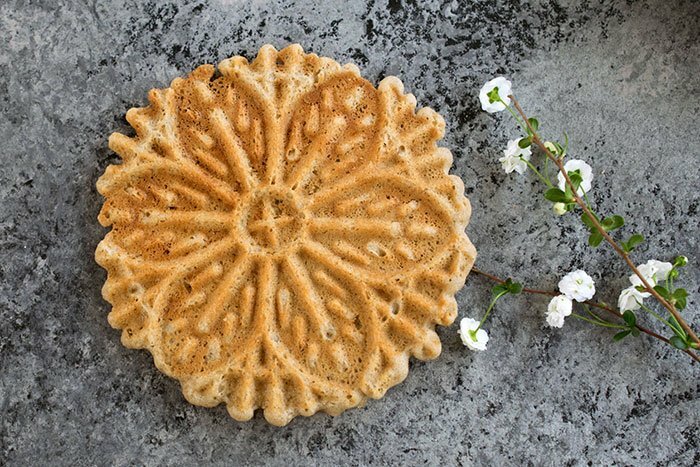 Home » Dessert » Vanilla Gluten-free Vegan Pizzelles Made with Teff Flour! There’s something fun about these thin, crispy cookies that look as delightful as they taste. 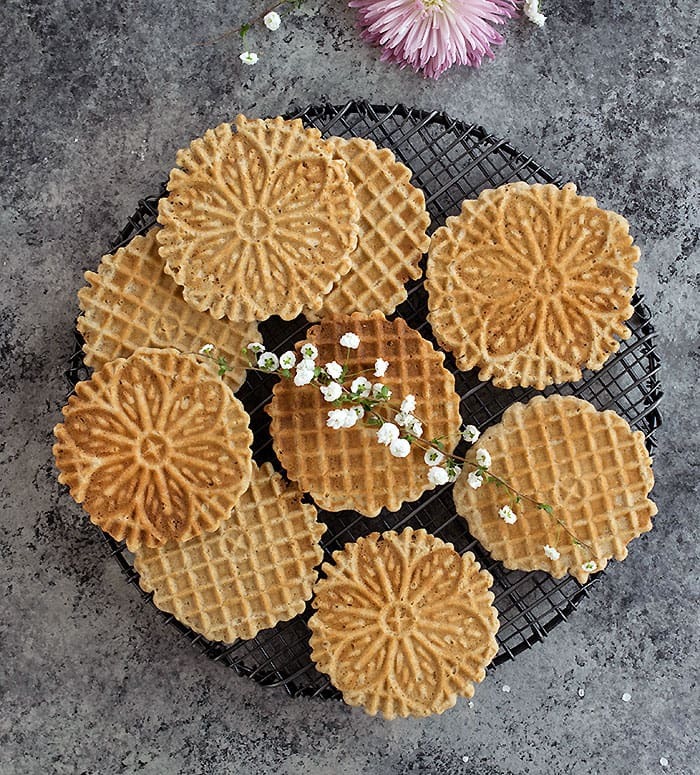 When The Teff Company asked me to create a vegan gluten-free pizzelle, I ordered a pizzelle maker and never looked back. I did try a batch of these without oil and they worked pretty well. You may need to use a little less batter to crisp them up or you may need to finish them up in the oven on a baking sheet for a few minutes. It will be important that they are neither overdone or too soft. Pizzelles are beautiful thin cookies that delight your mouth with their crispness. These are made without dairy or egg unlike most traditional recipes. I made these vanilla, but you can change out the extract to customize them or add a teaspoon of cinnamon, cardamom, or even a pinch of cloves. Plug in your pizzelle maker and lightly spray the inside with a mild spray oil. Mix the dry ingredients together in a medium-sized mixing bowl. Then mix the wet ingredients in a measuring cup. Add the wet to the dry and mix well. The batter will be a little thick. 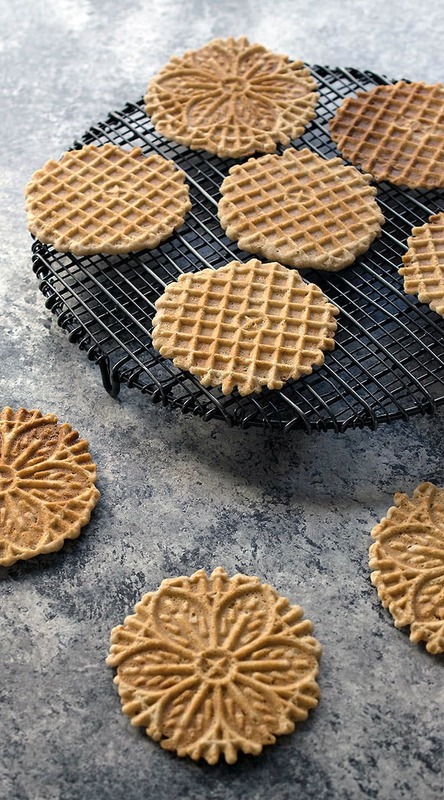 By now, your pizzelle maker should be hot. Drop a tablespoon of batter in the center of each cookie indention in your maker. Mine makes 2 at a time, but some make 3. Carefully remove the cookie from the maker with a silicone spatula. The cookies will be pliable while warm, so you should place them on a wire rack to cool them. Make the rest of the cookies by spraying oil, dropping tablespoons of batter, and repeat until all the batter is used. I want and NEED to make something like this ASAP! Looks delicious!!! I used granulated white sugar and cut it by half. Light spray of oil, and cooked for 75 – 90 seconds to get crispier cookie. I liked crispy rather than chewy. Very good! Looks awesome Grew up Italian and really miss these cookies! 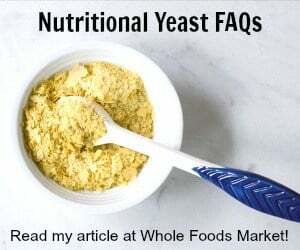 2 questions: Do you think I could sub melted Earth Balance for coconut oil? And can I sub Anise for the vanilla? One of my friends was just looking for a gluten free pizzelle recipe. Thanks for this post!